Brief histories of the Association and of the AF Intelligence unit in Berlin, Germany are presented on these pages. 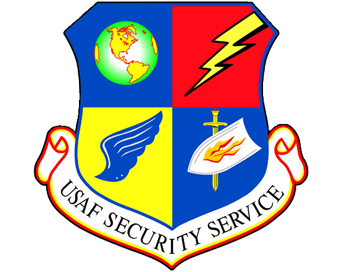 As the command structure and missions evolved over time, the unit was part of the AF Security Service and the Electronic Security Command. The command was later known as the Intelligence Command, the Air Intelligence Agency and is now known as the Air Force Intelligence Surveillance and Reconnaissance Agency. Security Service operations began in Berlin in 1950 with a small number of personnel detached from a unit higher in the command and attached to the Air Base Complement Squadron at Tempelhof. In 1954, the unit was officially structured as a Detachment. Over time it was organized as a Radio Squadron Mobile, Security Squadron, Electronic Security Group and Electronic Security Wing. As the Cold War wound down, the unit was returned to Group status and was inactivated in 1992. Click on the links to the left to view the various history pages.